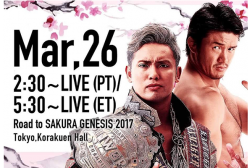 Watch Sakura Genesis 2017 LIVE on NJPW World with English commentary! 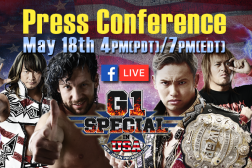 Will Ospreay, Beretta & Rocky show you how to enjoy a NJPW live event like a PRO! 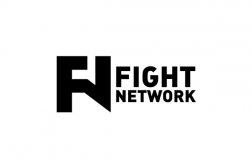 Check out the new informational video! Coming to the legendary Korakuen Hall in Tokyo is super easy! Experience New Japan Pro-Wrestling at the historic venue with the help of this tutorial video! Watch The Road to Sakura Genesis kick off LIVE from Korakuen Hall only on NJPW World! Okada & Shibata’s war begins! 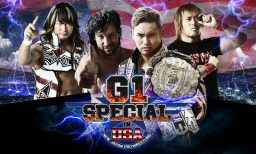 This coming Friday Night, you will see 2 jammed packed G1 Climax editions of NJPW on AXS.